Ninos is located in Saint George on the Greek island of Corfu. This detached vacation rental property is air-conditioned and sleeps up to 7 people (6 adults and 1 child) with 3 bedrooms, 1 bathroom along with private swimming pool. The villa is walking distance to the beach and restaurants. 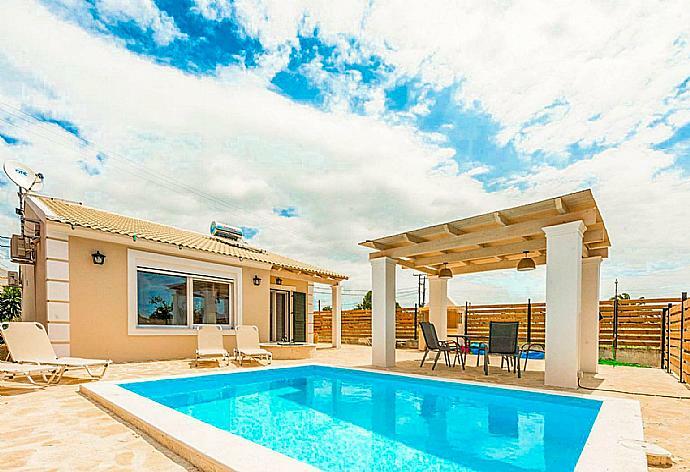 Ninos is a stylish and cosy single-storey villa with private pool and an outdoor terrace with a sheltered dining area. Inside there is an open-plan living/dining area and equipped kitchen. The property has three double bedrooms and a shared bathroom. All bedrooms have terrace access. There is a boat rental nearby which will give you the opportunity to explore the beauty of Corfu. The air-conditioned kitchen features: full oven, cooking hob, fridge/freezer, microwave, washing machine, filter coffee machine, toaster and kettle. There is also a Barbecue. Villa Ninos is a nice cozy Villa very stylish and comfortable. We love Corfu and we will visit again. A Dream come True. We came for our Honeymoon to this beautiful city of St George. It was everything we had dreamed off. Golden Sand on our feet beautiful beaches, lots of activity to do. We even spend time on a yacht sailing around the stunning Island. The Villa was spotless, stylish and well equipped for what we needed. We highly recommend this villa. Thank you so much for making our dreams come True Agni and Staff. Such a beautiful spot! The pool was very nice and the grounds were beautiful. Gorgeous villa all around. The interior is like something out of a magazine. Loved it all! The villa was clean, quiet, and decorated for pure relaxation! My wife, kids and I had a wonderful time in this villa and will be returning in the near future. Corfu is brilliant! The villa came equipped with all the necessary amenities. Agni Travel was very responsive and friendly and ensured that everything was in order for us during our stay. The outdoor area is set up to soak up as much sun as possible. Its a very peaceful space where you can enjoy the private pool, outdoor dining, and barbecue. I couldnt have dreamed of a better experience with my family. I will definitely be renting here again! Away from the hustle and bustle of larger resorts, family-friendly Saint George is the perfect location for a rejuvenating break. Enjoy strolls along picturesque coastal paths, lounging on golden sandy beaches, and for the more adventurous, a range of exhilarating water-sports. And to top it off, tickle your tastebuds with fresh local fare served up at tavernas lining the waterfront. 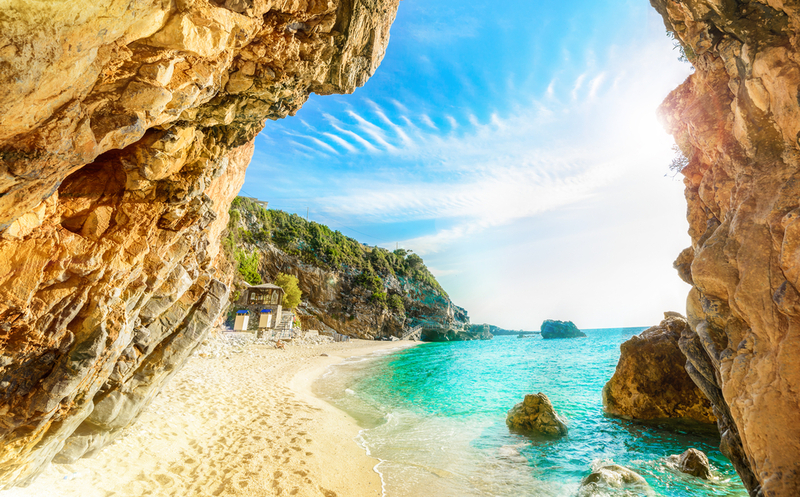 Situated on Corfu’s dramatic west coast, Saint George also makes a great base for day-trips to drawcard attractions such as Paleokastritsa and Porto Timoni. Ninos was booked 4 days ago!